The essence of investing is to take economic exposure to what the future may bring. We are living in a rapidly changing world and there are a number of key forces driving that change across technology, politics, business and science, having an impact on societies and economies (and investing). Within each of these fields there are leaders that symbolise the many faces of change shaping our future. There are direct implications for those in the investment industry managing large pools of capital for the provision of retirement benefits of members and stakeholders. With governments around the world lifting the pension age in response to increased longevity and the growing budgetary pressures of financing pensions, it is important to think about the implications of scientific breakthroughs that could extend life by 20, 30, 50 or even a 100 years. Investor sentiment has shifted and CIE’s delegates agree that Europe offers the greatest investment opportunities over the next three years. It is time for investors to wipe away the tears and focus on the opportunities in front of them. 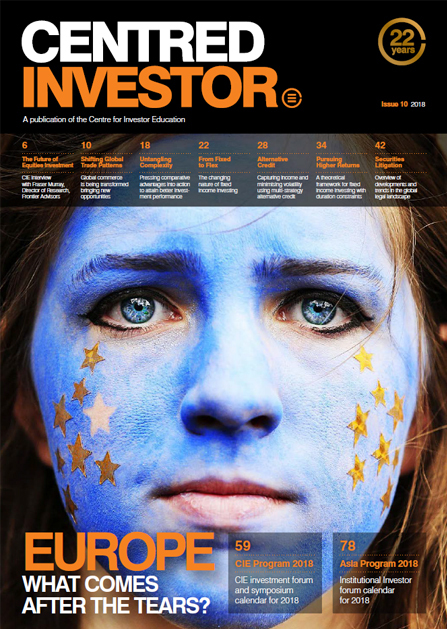 Investors are taking a fresh look at Europe and there are four forces at play creating a new sense of optimism. First, positive economic data shows that the trend is your friend. While not outstanding by global comparison the trend in European GDP growth, unemployment and productivity are clearly positive and more stable than at any time over the past decade. While there are vast differences across European nations the fact is that aggregate economic performance offers the strongest outlook since the financial crisis. 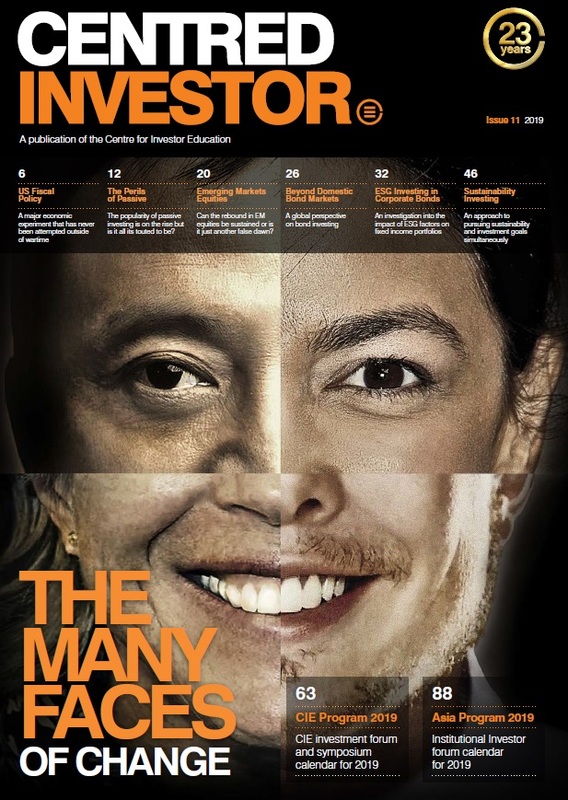 to successfully navigate the increasingly complex investment landscape we face. In 2017 we will take CIE’s International Investing Symposium to Washington D.C. where the event will be held at the infamous Watergate Hotel. By April 2017 we will be three months into the term of the new President (Inauguration Day is 20 January) and domestic and foreign policy agendas will be becoming evident. CIE is celebrating its 20th year in 2016. Having been part of our industry for the past two decades, CIE has witnessed firsthand the changes that have occurred, with the industry having professionalised rapidly in terms of leadership, organisational capability, corporate strategy and investment expertise. Over the same timeframe, financial markets and the global economy have undergone a steady evolution and endured periods of seismic dislocation. The challenges and opportunities in global investment, risk management and product development have become broader and more complex and in response investors have deepened their in-house expertise. To ensure we remain relevant and add value to investors, we have refocused our program with the objective of creating an unparalleled platform for knowledge sharing. With tensions running high between the European Union and the Kremlin, especially in the wake of the outbreak of violence in the Ukraine, there is growing concern in the West about the onset of a new Cold War brought about by changing economic spheres of influence. Russia’s growing economic might has led many in Europe to conclude that their eastern neighbour is more powerful now than ever before. Russia is slowly gaining sway over parts of Central and Eastern Europe, even amongst European Union member states like Hungary, through a series of trade negotiations and political agreements. Whispers of growing political and military influence over Estonia have further worsened fears that Russia is intent on re-establishing itself as a superpower using Cold War tactics, given that Estonia is a NATO member country and has been an independent nation since the fall of the Soviet Union. 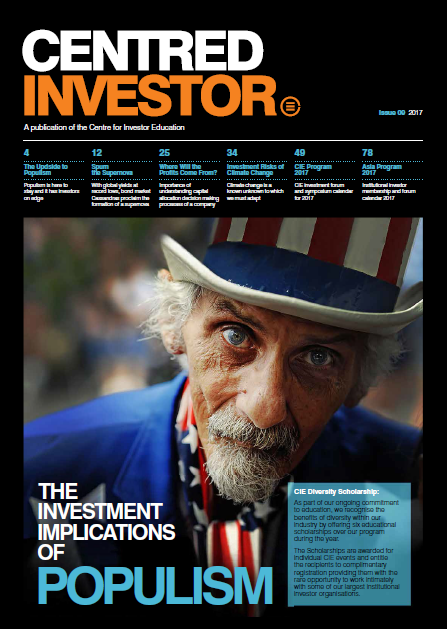 The seventh edition of the Centred Investor looks at the resurgence of tensions between Russia and the West, and the implications for Central and Eastern Europe. As countries and companies consider their next move, investors also need to consider how to be positioned in this high stakes game of chess.